(4/19/2012) When choosing among car insurance quotes, and maintaining a car insurance policy, the deductible is one of the most important factors to consider. But it can also be the most misunderstood. An auto insurance deductible is the out-of-pocket sum you agree to pay in case of a claim. When you file a car insurance claim after an accident, theft, vandalism, natural disaster, or other situation causing damage to the car, the deductible is the only amount you will pay. 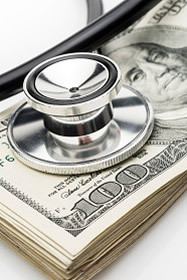 Deductibles are typically available in $0, $100, $250, $500, and $1,000 amounts. You may find multiple deductibles within one insurance policy - one for collisions, for example, and one for a comprehensive amount. Also important to note - for each and every accident, theft, damage, or other situation, you will be responsible for the deductible amount. Simple enough, right? Deductibles get complicated, however, when you start weighing the costs. Overall, choosing a higher deductible will lower your car insurance rates per month. As part of determining your policy, you need to determine what's more important - lower monthly premiums to pay, or a lower out-of-pocket amount you will be responsible for in case of accident. Choosing the right deductible for you can therefore feel similar to gambling. But here are some ways you can make a smart bet, and pick a deductible that will provide coverage in a cost-effective way. • Likelihood of damage. Have you found yourself in multiple accidents in the past? Do you have a safe driving record? If you can truthfully claim you are a safe driver, a higher deductible may make sense - you're less likely to get in an accident and have to pay it. However, if you have a spotty record, or if your neighborhood is less than safe, you may face more risk of accidents and paying deductibles. A lower one is key. • Tolerance for risk. 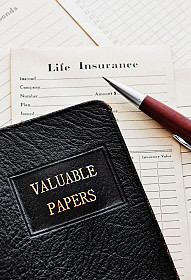 In auto insurance or in other insurance policies, have you had to pay deductibles in the past? If you are new to insurance, have people in similar situations as you had to pay out deductibles? Knowing the risk of paying a deductible can help you decide if you want to take that risk. • Awareness of options. Have you shopped around? Car insurance deductible options can differ greatly between insurance companies. Think about what deductible amount makes the most sense for you, then look online (or in person) for auto insurance quotes featuring that deductible and the different monthly rates they offer. Don't forget that having a good driving record is the best way to reduce deductible out-of-pocket costs AND monthly premiums. And if you are a good driver, be sure to ask your insurance agent about car insurance discounts designed to help you save even more.